Prana del Mar is a new, deluxe retreat center and spa, specializing in yoga retreats, yoga vacations, and Pilates holidays. 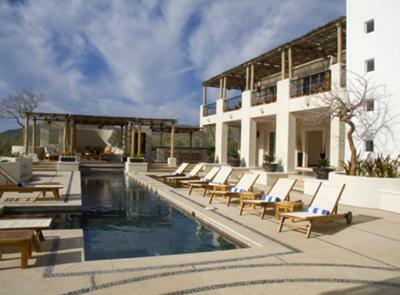 Located on five beachfront acres at the southern tip of the Baja peninsula - just outside of Cabo San Lucas, Mexico - this luxurious retreat center offers elegant accommodations, delicious cuisine, rejuvenating spa services, and warm hospitality in a tranquil and serene setting. The center features comfortable rooms and suites with ocean views, custom-made teak furniture, polished travertine tile, pillow-top mattresses, organic sheets and bath towels, and more. The common areas include a Club House with restaurant, swimming pool, hot tub, spa treatment rooms, a meditation room, a roof deck and lounge areas. 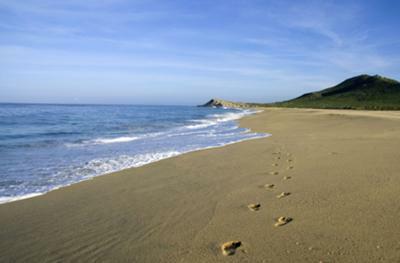 There is an large, bamboo-floored yoga studio, lovely desert gardens, and a stunning golden-sand beach. 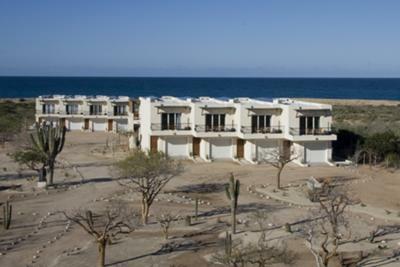 Prana del Mar is also committed to the environment and sustainable travel, with all of the electricity being solar-powered, an organic vegetable and herb garden, a solar-heated pool, wastewater recycled on-site and used for the xeriscaped gardens, organic personal care products, and more. This undiscovered treasure is the perfect oasis for rest, relaxation, and rejuvenation - surrounded by the ocean, the mountains, and the rugged beauty of the desert.